Dr Jumain graduated in electrical engineering at Universitas Hasanuddin in 1985. He went on to graduate from Monash University in 1993 in digital communication, from Universitas Darul Ulum in 2002 where he studied economic development, and from Universitas Padjajaran in 2010 where he studied business management. 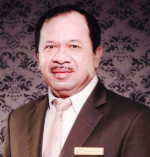 Dr Jumain was the Head of the Data and Information Center (BPPT) from 1993 – 1995, the head of the Planning Bureau (KORPRO) from 1998 – 2001, the Head of the Planning and Finance at RISTEKDIKTI until 2005, the Secretary at BPPT from 2005 – 2014 and the main commissioner at PT Inti Telekomunikasi Indonesia from 2006 – 2012. He is now the current Director General Strengthening Innovation at the Ministry of Research, Technology and Higher Education. Dr. Takashi Hiyama is a Distinguished Professor in Kumamoto University, Japan. He holds degrees in Electrical Engineering. Since 1987, he has continuously had joint research projects with the Kyushu Electric Power Co. on the wide variety of topics including the development and implementation of fuzzy logic power system stabilizers. He has many international activities, such as Councilor of ISAP (IEEE International Conference on Intelligent Systems Application to Power Systems), International Advisory Committee Member of the International Power Engineering Conference (IPEC) and IEEE-PES/CSEE International Conference on Power System Technology (POWERCON). He also a reviewer for many reputable journals, including IEEE Transactions on Power Systems and IEEE Transactions on Energy Conversion. He has more than thirty years teaching experiences in the area of electric power system engineering and system engineering including laboratory developments. Dr. Takashi Hiyama also holds the position as the Director of International Research organization for Advanced Science and Technology (IROAST) since 2016. 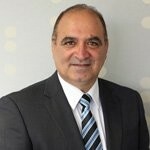 Dean Sharafi is heading System Management, the operator of South-West Interconnected System in Australia. Dean holds a degree in Applied Physics, a degree in Electrical Engineering and a degree in Business Management. He has over 20 years of experience in power system engineering which includes Power System Protection, High Voltage Systems, Asset Management, and Power System and Electricity Market Operation. He is a member of the Australian Institute of Management, a Member of Engineers Australia and a senior member the IEEE. Dean has been actively involved with IEEE Power and Energy Society initiatives and Cigre Working Groups over the last decade. He is a member of the Governing Board of IEEE Power and Energy Society. Dean has published many papers on power system protection, condition monitoring, asset management, and power system protection. He also lectures as a Sessional Academic on Power System Earthing at Curtin University. Mitsubishi Electric is one of the world's leading names in the manufacture and sales of electrical and electronic products and systems used in a broad range of fields and applications. From its founding in 1921, Mitsubishi Electric has been at the forefront of Japan’s technical ingenuity and product innovation. From it’s first hit product—an electric fan for consumer use—Mitsubishi Electric has continued to create a long list of “firsts” and groundbreaking new technologies that have shaped its business fields all around the world. Mitsubishi Electric has offices and facilities around the world. Find the location nearest to you.